The FBG/Brooks Running connection isn’t anything new. We’ve been part of their blog ambassador program for years (and that means you’re likely to find some affiliate links here, so if you see something you like, we’d be honored if you purchased through our link! 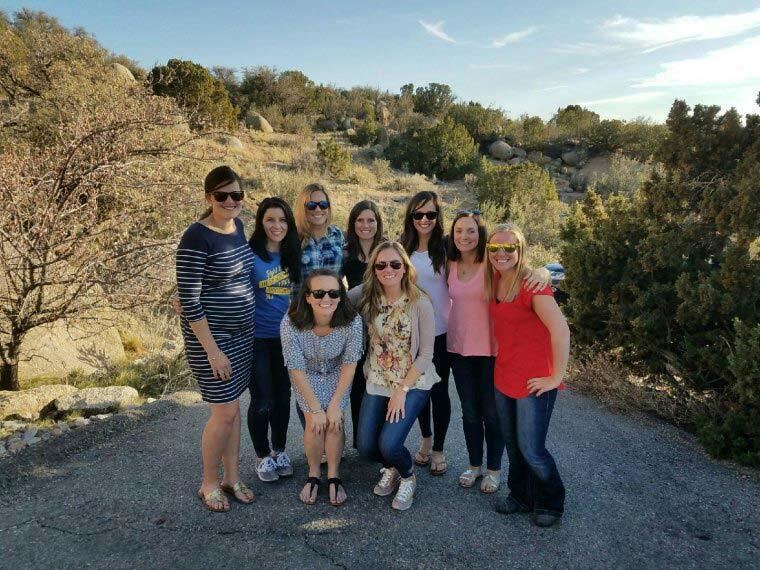 Each year, either Jenn or I have attended the annual trip Brooks puts on for us (2016, 2015, 2014, 2013). I’m not alone in saying that we’ve formed a really tight knit community with the other bloggers in the program — seeing them each year is an absolute highlight. But what I hadn’t realized until my recent trip to Albuquerque for Altitude Camp with Brooks is that this feeling of being a team? It’s not unique to the bloggers. 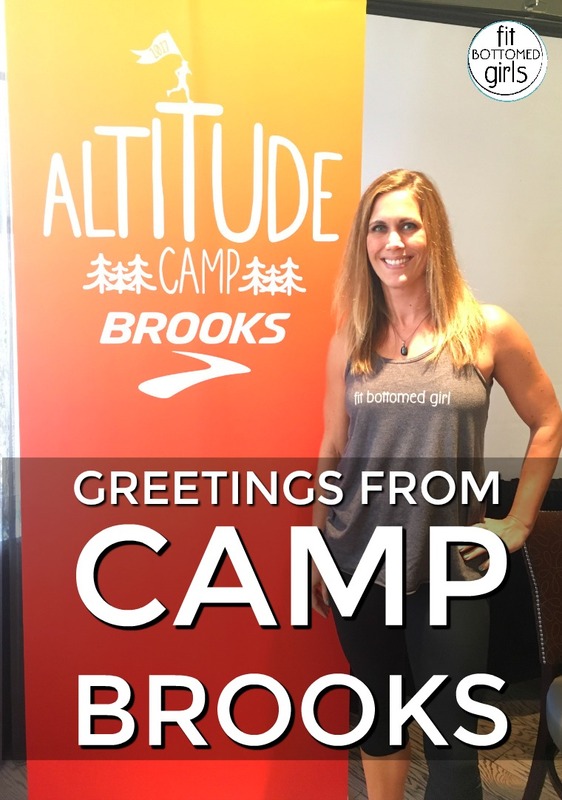 It’s a huge part of the Brooks culture — a part that we saw firsthand while spending a weekend training and learning with the Brooks Beasts (a group of middle-distance professional athletes based in Seattle, but attending a few weeks of Altitude Camp in New Mexico). The weekend started on a hilarious note with an introduction to the Beasts who’d be our “camp counselors” for the weekend. They introduced each other, sharing their teammates’ accomplishments, some funny and surprising facts (like, I now know who really likes spending time in their robe, who will feed you pancakes … but only if you catch them in your mouth, and who’s been detained in a foreign country for unwittingly crossing the border on a long run without a passport), and the affection (not to mention admiration) they felt for one another was evident. The introductions were followed by a fascinating presentation on the benefits (and risks) of altitude training by the team’s physiologist, Dr. Corey Hart. There was a whole lotta knowledge dropped in a short amount of time, but one of the key takeaways for those of us living at sea level is something I’d also learned in my USAT training: if you’re gonna race at altitude, either show up less than two days before your race or plan to be there for a minimum of 10-17 days prior to race day. In between? Nope, nope, nope. Then, it was off to the track, where the team building really got going. We were broken into several teams, each with a couple other bloggers, some other athletes/influencers/editors, and two Beasts as our coaches. Team Yellow (which was NEVER mellow) totally lucked out with Jess Tonn and Izaic Yorks — they were positive and encouraging gave us some great dynamic stretches, which you know I am all about. Here’s the gear we were provided: Pick Up Tank (although, sorry, had to be there to get the Altitude Camp graphic), Juno Bra (not pictured but hella supportive) and 5″ Chaser Running Shorts — I’ve been wearing the heck out of my 3″ Chasers, and found the 5″ to be a nice option for days when I want to flash a little less booty. We also checked out the Greenlight Running Capris (not pictured here), which were a huge hit with the group. I really loved having a chance to go all out in a group like this. 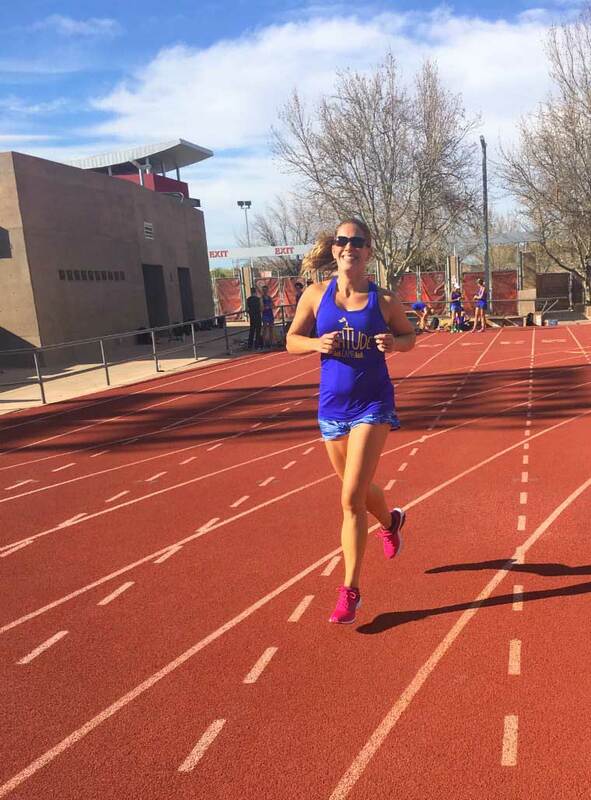 There were some elite runners there, as well as some runners who were more my speed, but there’s something about giving absolutely everything you have in a workout — and knowing others around you are doing the same. We might not have run the same pace (lol forever), but we were all there, sweating and cheering each other on, and the energy was infectious. Hey, it was St. Paddy’s Day — what was I gonna do, wear normal shoes? Launch 4 pictured here. You can’t get the special St. Patrick’s day design anymore, but there are still a bunch of fun colors (plus Boston Launch 4)! After the track workout, we had a group dinner at the hotel while listening to Coach Danny Mackey talk about how he works with the Beasts, and how each one of his athletes works differently and it’s his job to bring out the best in them. The most powerful part for me — and I think for a lot of people, really — was how passionately he talked about that team atmosphere, and how important it was that any new athlete joining their team not only bring the required athletic talent, but also the right attitude. That’s not to say there are no egos — this is an elite team of professionals, with Olympians and world record holders and people who are very much used to winning — but when you bring that kind of drive and pour it not only into your own workouts, but into your teammates’, you get some real magic. I’m so excited to see what the Beasts accomplish in the coming years. I think everyone was seriously excited about the trail run at Michial M. Emery Bear Canyon Trail, but I’ll admit, I was also a little nervous. This is a fast group and even if I could keep up, I also wanted to enjoy this run and take in the scenery. Fortunately (for me — less fortunately for some of them), a few of my fellow bloggers were running a little slower than usual (pregnancy and injuries), so I had a photography-friendly group with me as I kicked up dirt and searched for sunbeams. All of us were ready to run … and all wearing (mostly) the same gear! All suited up here in the Caldera Trail-Running Shoe, which everyone seemed to really love (myself included) and Cascadia Shell Running Jacket, which — fun fact — has tons of ventilation and packs down into its own front pocket. Running mountainous trails at an elevation of over 6,000 feet is not the easiest thing for a Florida girl who lives in a city with literally one hill, but I’d be shocked if I stopped smiling at any point. It was just too beautiful. Cactus: not recommended. Calderas? Definitely recommend. Well, maybe once, when I almost ran into a cactus. 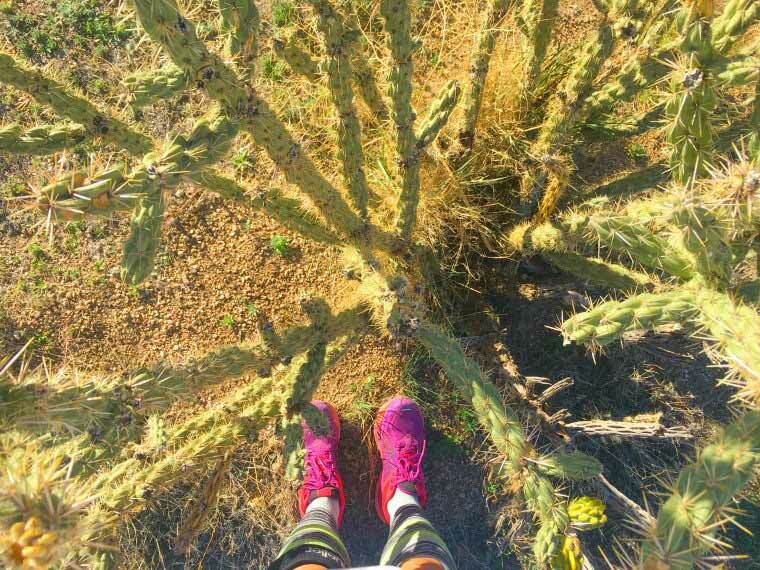 Pro tip: When running in the desert, don’t touch the cacti. You are welcome. After an inspiring run (seriously, the weather was just perfect, the company sublime … I wish I could bottle that feeling and take it home), we wrote down how running made us feel (I went with “invicible”) and headed back to the hotel for a quick shower and then lunch with Brooks Beasts’ nutritionist Kyle Pfaffenbach. His primary message: every body is different, so it’s important to find nutrition that works for you. And it’s not only about what makes one’s body function best — he also puts a serious focus on what each athlete wants, because forcing them to follow a diet they hate, even if it benefits their performance, won’t work in the long run. The learning continued in breakout sessions. We shared our favorite running gear and apparel, discussed why we run, and then got the scoop on what really goes into designing new Brooks shoes. 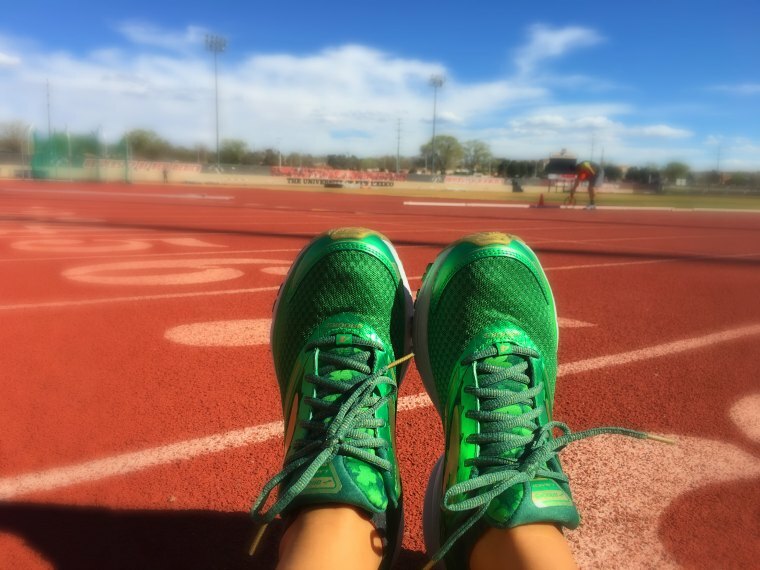 Hint: some of the athletes wear test and provide feedback on them, which not only helps the finished product rock, but also gives these world class athletes a real feeling of ownership over the shoes they’re wearing when they walk up to the start line. Okay, granted, they don’t look super jazzed here. 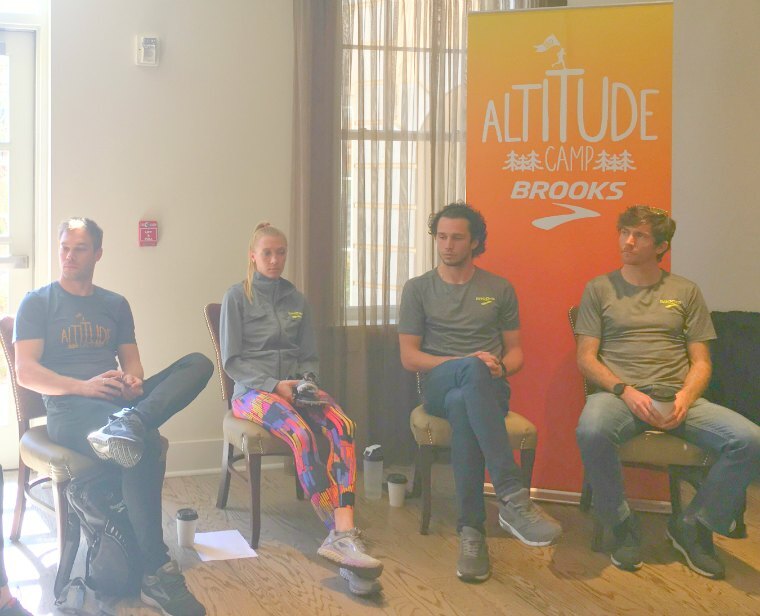 But I SWEAR it was a really lively conversation, and it was awesome to hear how passionate these runners (Nick Symmonds, Katie Mackey, Drew Windle and Garrett Heath) are about their shoes and the Brooks Running brand. 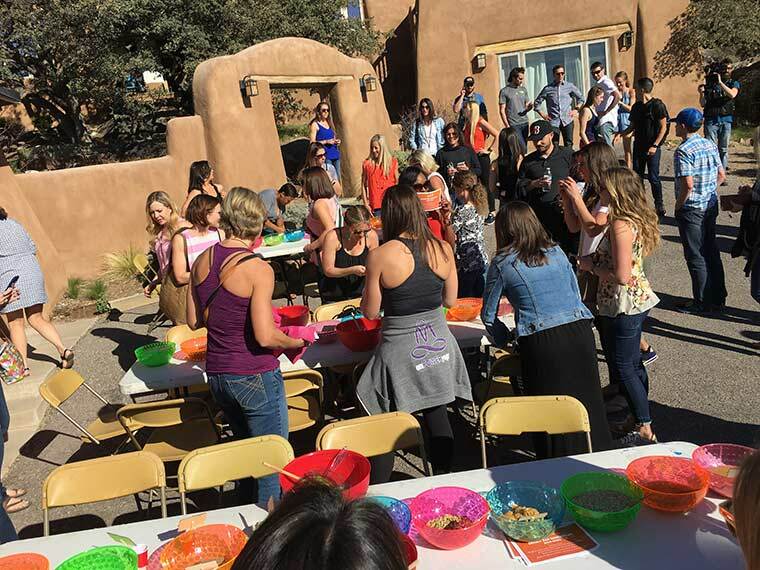 Our final event was a trip to the house all the Beasts were living in while in New Mexico for a cookout. But first, we broke up into our teams one last time for an energy bar contest. Team Yellow came in second place (although I maintain we were robbed — who’s gonna vote against our Balls From Heaven? ), and were rewarded with a prime spot in the beer line. It was definitely shaping up to be my kind of night. Nice digs, huh? Wait ’til you see the view. We enjoyed chips and guac, burgers (veggie with green chilies and cheese for me), but, most importantly, conversation. I chatted with lots of the Beasts about all kinds of things — Drew Windle about what he wants to do when he’s done running professionally, Katie Mackey about her 11-mile tempo runs (ZOMG), Garrett Heath about … how hard it is to find beach parking in Florida? Ugh, I am so awkward. I swear I’m more interesting than that. But hey, he was totally nice about it (and probably learned some very valuable lessons, right?). I also learned that Cas Loxsom has super fast reflexes during a heated game of Left, Right, Center. But this shouldn’t be all that surprising given what he does for a living, I guess. 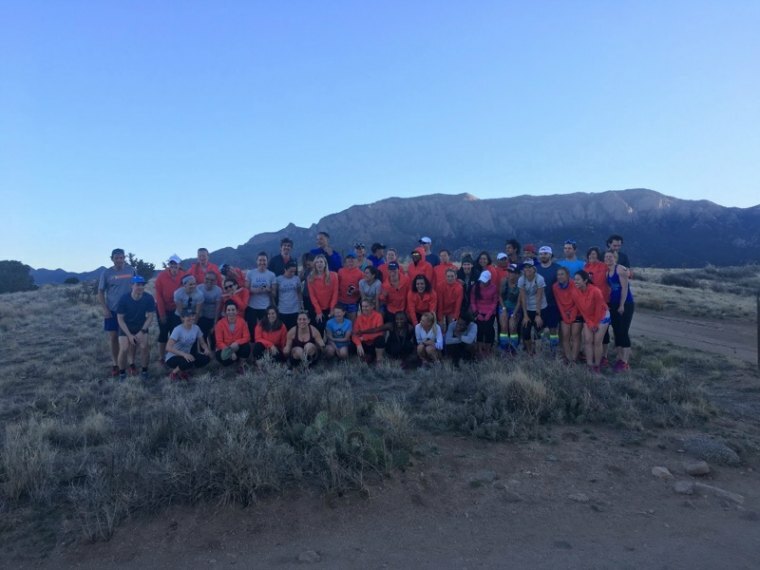 It probably won’t make you even more jealous that I snapped this pic surrounded by a bunch of super-friendly pro runners, right? If this seems like a long recap, let me just say that the amount I had to leave out is probably double what I wrote. Those Brooks peeps sure know how to pack in a weekend! 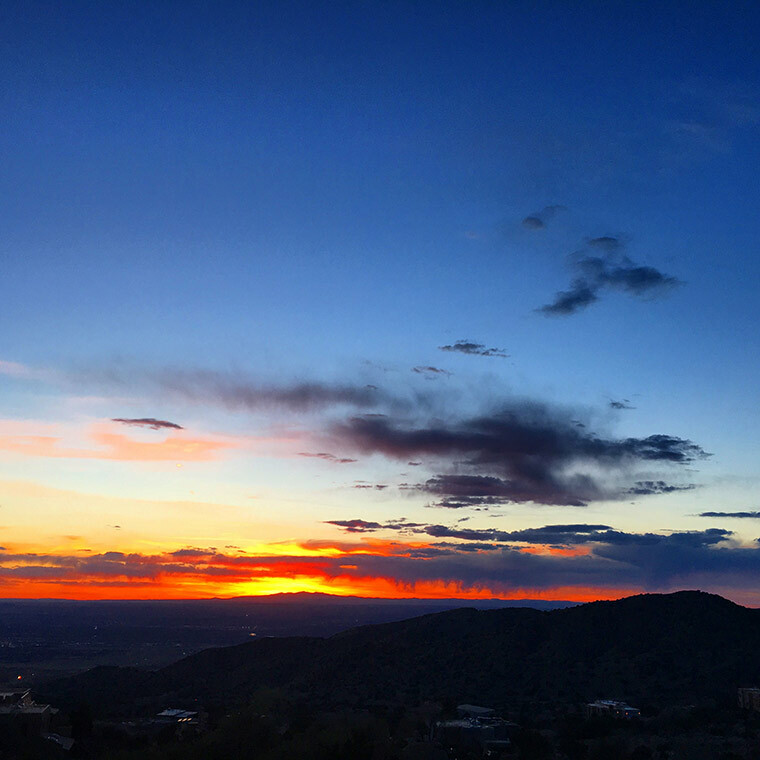 But if you want to read a little more about our Albuquerque adventures, check out what the other bloggers on the trip had to say. And I’d strongly recommend heading over to Instagram and checking out the #CampBrooks hashtag — you’ll get an inside look at the weekend, and I can almost promise you’ll find some fun new people to follow. I sure did! 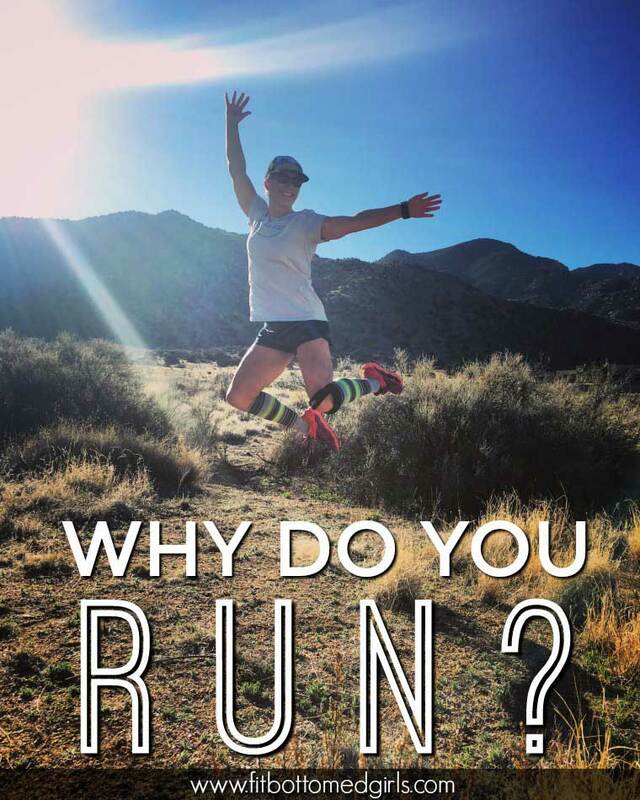 I run because it makes me feel unstoppable. I run because I have triplets. Running is my stress relief, my therapy, my means to remain healthy for years to come. I love running and all that it has given me. Great post! Sounds like a fun way to meet like minded people. 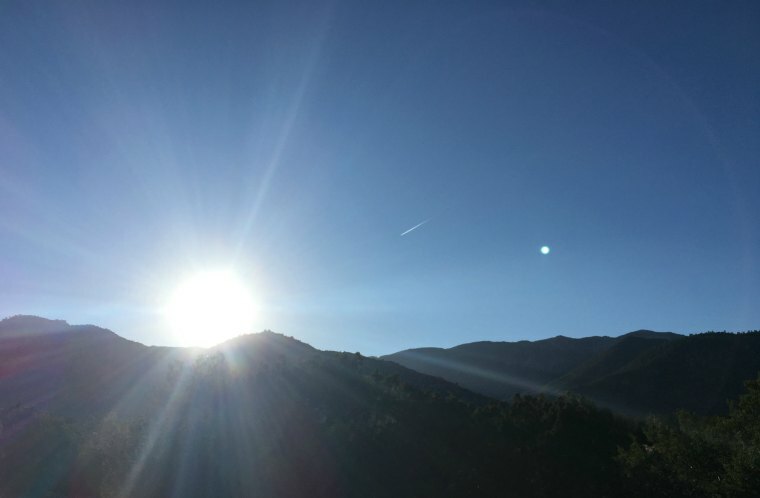 Why did I start running? C.H.A.R.I.T.Y.